Komiti has been an entertainer his whole life. He grew up singing in church which gave him the gift to sing and express his voice in public. His musical style of popular RnB, originates from influences of Boyz II Men and Michael Jackson. He has performed in Star Struck and Australian idol as a soloist. Brett has been playing drums for the best part of 30 years! Drums has been in his blood from an early age, playing in rock bands through school to the current day. Influences from John Bonham, Phil Rudd and Dave Grohl. Now taking a new path of playing Cajón, and percussion. Chuck is a self taught guitarist, that has played in rock bands for 10 years. Starting off in his home town of Gunnedah and then moving to experience the Newcastle music scene. Heavily influenced by The Red Hot Chili Peppers and Metallica, but now challenging himself in the the genre of acoustic pop and RnB! 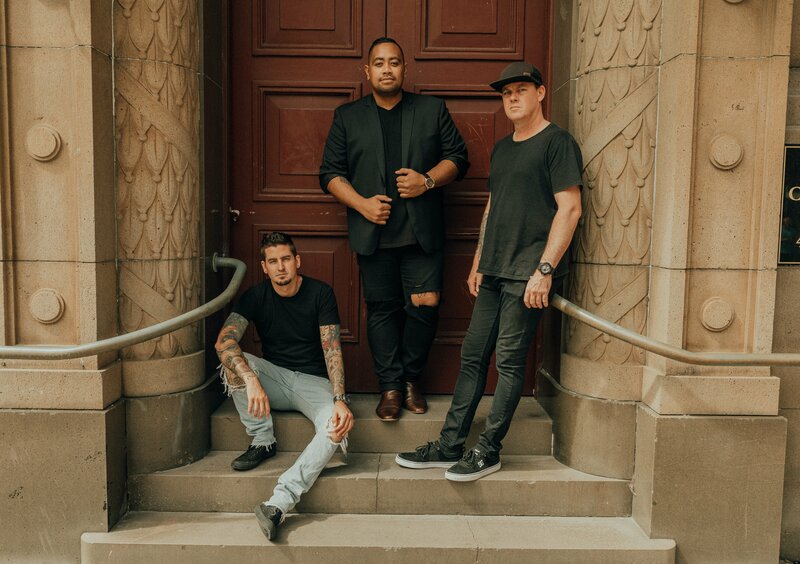 Tre Soul is an acoustic trio, putting an RnB Soul twist on modern day pop and classic hits. 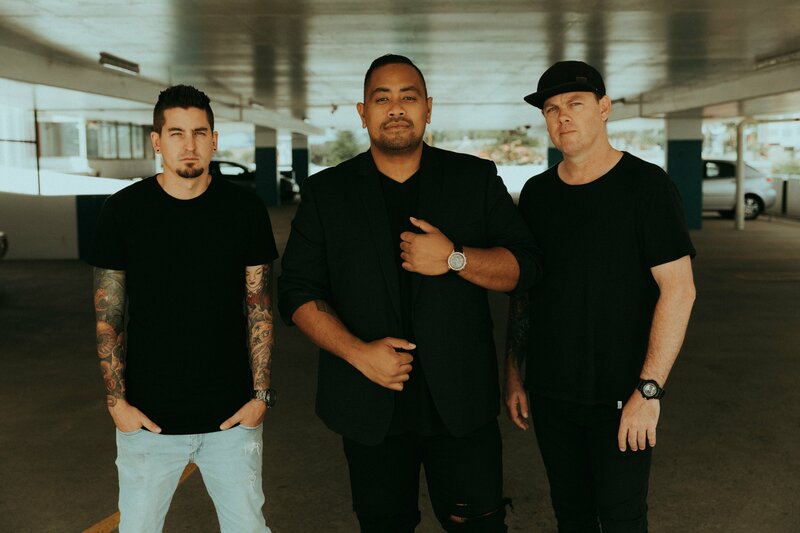 The sounds of acoustic guitar backed by solid percussion from Chuck and Brett, compliments the explosive energy and raw talent from front man Komiti. Just wanted to say thank you to EAO and Tre Soul for helping us out on our big day. The band were amazing and everything went off without a hitch. I didn’t get to talk to the band much on the day but can you please tell them a massive thank you! They sounded great and everyone loved them. And to EAO, thanks for being so helpful!! Everything went so well & the band were amazing! We had three “musts” for our wedding: great food, relaxed vibe, and great music – and the boys certainly delivered. They kept everyone dancing, were a pleasure to chat with (& funny! ), It felt like we had friends playing at our wedding. 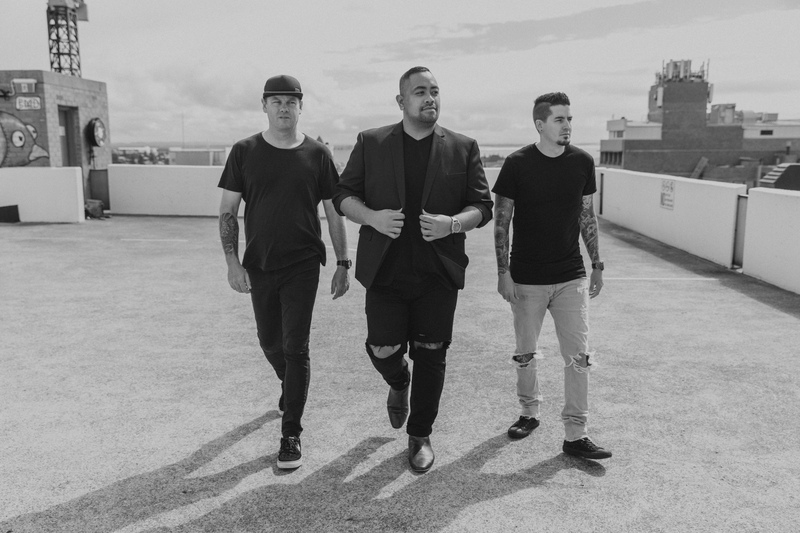 All of our guests raved about the band & we could not be happier about our choice to go with Tre Soul. The band organised a surprise for us about halfway through our reception where they had our daughter sing a song with them on stage dedicated to us – it was so beautiful and took us completely by surprise. They created beautiful memories for us that I could never have dreamed of. The booking process with EAO was seamless. I was really not into the administration side of planning the wedding, and you kept me on track each step of the way which was very appreciated!! We just wanted to say a huge thank you to Tre Soul! They were beyond amazing! Our 18 & 21 year old’s had the best experience ever. Their friends were super receptive to the live band and everyone was up and dancing all night. Tara and Jack’s Birthday Party was legendary and it was made that way thanks to Tre Soul. Thank you from the bottom of our hearts. We were feeling very blessed on Sunday with our children, their friends, our family. Just can’t thank them enough! We had the most incredible day! Tre Soul were beyond amazing! Everyone was up on the dance floor for the majority of the night and everyone raved about the amazing music and atmosphere at the wedding. The band were a big part of this! We were just so so pleased with the whole process. All of my questions have been answered so promptly throughout the process and I have felt so confident that everything would be well organised- as it was!! Thanks again for everything! Everything was just amazing. I wish we could relive the day/ night every weekend! We had Tre Soul play at our wedding and they were absolutely fabulous. Our guests describe our wedding as one big dance party! Tre Soul had all our guests up and dancing from 8pm through to sound curfew at 11pm. They catered perfectly to all age groups (our guests ranged from 19 to 80 years old). The band went above and beyond to make sure all guests had a great time. 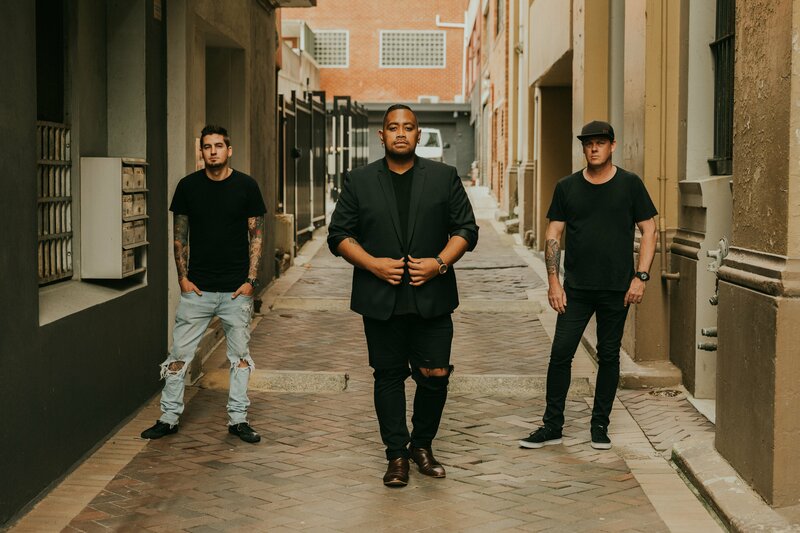 Tre Soul have played at 3 of my friends’ weddings in the past 18 months and they have been exceptional at all of them. Couldn’t recommend them more highly. Tre Soul were fantastic, they really made the night!! Everyone was dancing and having great time. Even the venue owner commented that she would be recommending Tre Soul to future couples getting married at Greenfield. Absolutely speechless! Could not fault anything! 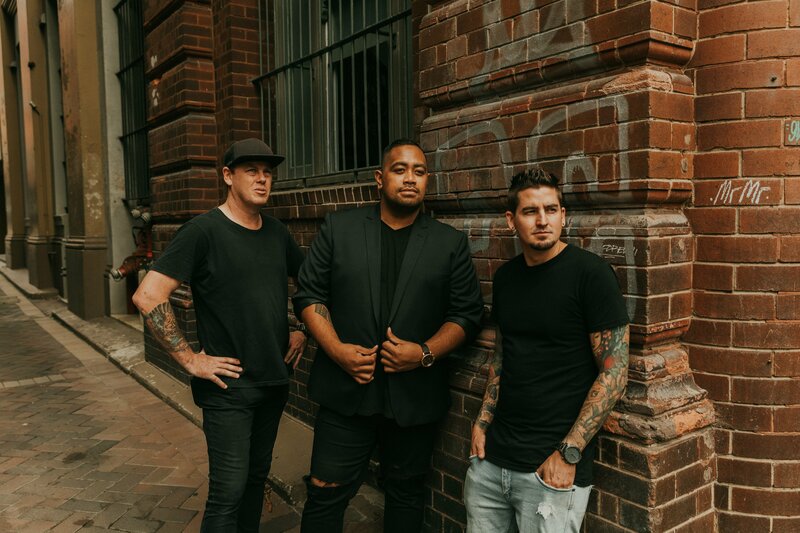 Tre Soul played at our pre-wedding function in the Hunter Valley and without a shadow of a doubt, made the night what it was. Thanks to them, I look back on our pre-wedding party as fondly as the wedding itself. Not only were they sensational musicians, they were great guys, who went above and beyond to make sure we all had a ball. They read the crowd like pros and chose all the right songs for the right moments. I cannot wait for the opportunity to have another party purely so I can book these guys in. I couldn’t recommend them highly enough! !